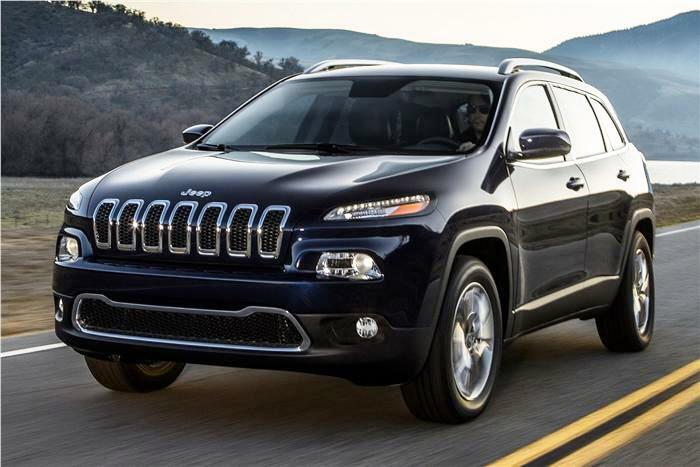 Following that, the carmaker has revealed the India bound Cherokee, which will be the first India bound product from the alliance , Fiat-Chrysler. It is slated to be officially unveiled at the New York motor show in March, and will replace the company’s smaller SUV, the Liberty, internationally. We would like to clarify to all our readers, that you should not confuse Cherokee with Grand Cherokee. Jeep's Grand Cherokee is a full sized SUV and Cherokee is just an entry level SUV for the Indian market and will compete with Toyota's Fortuner, Ford's Endeavour, SsangYong's Rexton and others in this segment. Cherokee will be placed beow the other two models - Grand Cherokee and Wrangler. The new Jeep Cherokee is based on a version of Fiat’s ‘Compact Wide’ platform, which underpins the US-market Dodge Dart saloon, the Alfa Romeo Giulietta and the Fiat Viaggio. The platform is capable of accommodating a four-wheel-drive system, V6 engines and diesels, all of which will be available in the new Jeep. The petrol V6, which is unlikely to make it to India, will be a 3.2-litre version of Chrysler’s 3.6-litre unit. It will also be the first Fiat-Chrysler vehicle to get a new nine-speed automatic gearbox. This transmission is said to be “the future of the front-wheel-drive and all-wheel-drive world of Chrysler”, according to CEO Sergio Marchionne. Stay tuned for more information on this one. Read our article on - Grand Cherokee and Wrangler spotted testing in Pune.